1. To say that it is impossible to teach is to say that we continually have to put into question what, at a given moment, seemed to be the answer to this aporia. The difficulty that we perceive in the current teachings in the Clinical sections today is the sign that something has come to an end. We have encountered one of the forms of the impossible to teach. It is by starting from this encounter, from this failure, that we can put our methods into action again. We are limited by the wall of language, we have to start to re-learn again. 2. With the emphasis placed on teaching in the Lacanian orientation, it is necessary to distinguish between two separate registers. On the one hand, there is the transmission of the disciplines necessary to the knowledge of the psychoanalyst. On the other hand, there is the transmission of the way in which the unconscious has to be read, not as a dead thing, or a given signification, or a handbook of psychology, but as a living thing that has the need for the contribution of each one of its practitioners to find its proper place in the world. At the same time as Lacan defined, in a very precise way, the necessary knowledge for the psychoanalyst in the continent of the logo-sciences, he also showed his interest in the oriental traditions of the master, in the Hindu-Buddhist tradition as well as in the transmission of the exacting Zen sect which originated in Japan and also in the Chinese Taoist tradition. 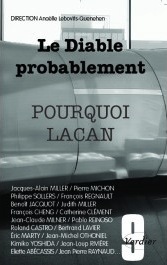 Lacan not only disturbed the contents that had been agreed upon to teach psychoanalysts but its method of teaching as well. Let us start then from this observation, the psychoanalyst, when trying to “teach what psychoanalysis teaches,” disturbs the accepted teaching methods, and in doing so the psychoanalyst disturbs the re-grouping of the established knowledge of the university, and this also disturbs the method by which this knowledge is transmitted. Nowadays the question is twice as much a red-hot issue. We have to awaken the University and its teachers from the error of the perspective that groups together psychology, psychoanalysis and psychotherapy, when they think that the justification for such regrouping is the existence of the neurosciences outside the University. What is at play in teaching consists in articulating S2 and a with the good arrow. 5. All kinds of consequences can be deduced out of the modalities of the teachings of psychoanalysis itself. The first forms that were adopted in the experience at Vincennes in France turned out to be disastrous. The stake was enormous. It was the opportunity, for the first time in France, to teach psychoanalysis at the University under the light of psychoanalysis. The Department of Psychoanalysis did not want to occupy a minor position in a Department of Psychology. This meant putting into action a new regrouping of knowledge, of drawing on the consequences of the teachings of Lacan about the subject matters which are appropriate to the knowledge of the psychoanalyst. 6. To demonstrate what was the other side of the discourse of the master, most analysts adopted the position of indolence. They became silent, to show that they were the ones who enjoyed (jouissaient) in silence. It was necessary for Jacques-Alain Miller to provide a solution, to act. 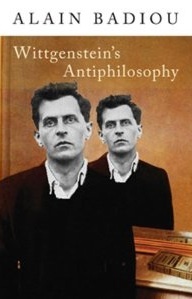 It took six years to provide the result of this initial mode of experience and to remind us that to put “antiphilosophy” on the right track, as Lacan said, was to teach these knowledges in a lively way. To prove this, it was essential to work, and from then on we have continued on that path. J.-A. Miller carried out the counter-experience of the reform of the Department of Psychoanalysis at Paris VIII in 1974, and the creation of the Clinical Section followed it, to demonstrate that we effectively wish to teach and also, that we ourselves, are subjected to the division between the teachings of a dead knowledge and of a live one. To awaken the interest of the students of psychoanalysis is also to make the demand of psychology appear as a social symptom. It is a social symptom linked to the ideology of the cult of science. If there are so many young people who want to have a “psyche,” who want to have a mental functioning, as everybody does, and want to be ensured about it, it is because of the anxiety which the ideology of the suppression of the subject engenders. The demand for clinical knowledge can also be reduced to a technical variant. The craving for clinical knowledge can be flattened by the know-how (savoir faire). For that reason, the success of the Clinical Sections is dangerous. It can dissolve us as we found ourselves dissolved in the success of the ACF. 7. To find again the chances where lively and demanding debates can take place, is to find the right relation to face the demand for technique that assails us. We cannot simply say “No!” and get lost in splendid isolation. We have to be able to say “Yes!” and “No!” at the same time. Heidegger spoke of “serenity,” Gelassenheit, to refer to what he imagined as a solution to face a technical world. He proposed to keep ” the spirit open to the secret”. It is something of the same order as that which Lacan indicated when he proposed to us to teach by starting from non-knowledge (non-savoir). That is not a gift that comes from Heaven. We have, from time to time, to touch that non-knowledge, to regain strength, like the giant Anteo who had to touch the earth. The other path is that of a critique of an important book in a related discipline. Something like the presentation of J. Searle’s book by J-A. Miller in his 1997 course. The critical reviews of the journals of our field measuring up with “connected” debates, in the field of science or philosophy could also contribute to the “aggiornamento” of the references. Ecce Homo cited Derrida (J. 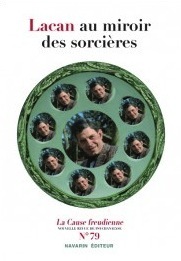 ), in Otobiographies, Paris, Éditions Galilée, 1984, p. 79. 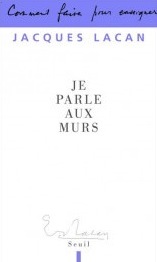 Derrida (J. ), op. cit., pp. 108-109. 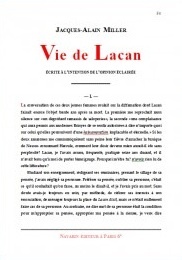 Lacan (J. ), Radiophonie, in Scilicet, n¡ 2, p. 99. This entry was written by admin, posted on September 13, 2011 at 5:20 pm, filed under Uncategorized. Bookmark the permalink. Follow any comments here with the RSS feed for this post. Post a comment or leave a trackback: Trackback URL.